“All those who were true believers in Christ took upon them, gladly, the name of Christ, or Christians” (Alma 46:15). Alison loved the Christmas holidays. She liked shopping for presents for her family and friends and singing Christmas carols. And she loved reading the story of Jesus’s birth and thinking of Him as a small baby. Alison frowned. “No party?” she whispered to her mother. The ward Christmas party was one of her favorite parts of the season. Mom put a finger to her lips. Alison thought about that. She remembered when her best friend, Erica, had said that Mormons weren’t Christians. She didn’t understand what Erica meant, so she had asked her parents about it. But Erica had just shrugged. “Then why don’t people call you Christians instead of Mormons?” she asked. Alison turned her attention back to the bishop. As the time drew near for the open house, Alison started getting excited. Mom and Dad invited an elderly neighbor to go to the open house. Alison invited Erica. The night of the open house, Alison helped Mom wrap both of the family’s nativity sets in newspaper. Then Mom and Dad drove her to pick up Erica. When they got to the church, Alison and Erica looked at nativity sets from Japan, Austria, the Philippines, and many other countries. Then the girls went outside where the young men and young women were acting out the Nativity. There were live cows, sheep, and even a nanny goat. “Everything but a camel,” Alison said. The bishop asked everyone to gather in the chapel. Alison and Erica sat with the Primary children. The children sang “Picture a Christmas”1 and “The Nativity Song,”2 and the ward choir performed parts of Messiah. “Maybe next year,” Alison said, smiling. She thought about the open house and realized she hadn’t missed the Christmas party after all. “Picture a Christmas,” Children’s Songbook, 50. “The Nativity Song,” Children’s Songbook, 52. 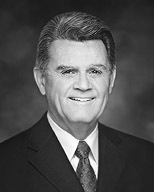 Elder Gary J. Coleman of the Seventy, “Mom, Are We Christians?” Liahona and Ensign, May 2007, 94.